Paints and Stains, ever since discovery, have protected our valuables. The research and development department of Paints and Stains are never out of work. What is the fuzz about VOC in paints and stains? VOCs, volatile organic compounds, are low boiling point compounds that are used in oil-based paints and stains as thinners and binders. The boiling points of such components are so low that they evaporate from the surface at room temperature. Formaldehyde, the very common VOC, has -19 degrees Celsius. These compounds as name suggest have carbon based structures. They pollute the air with toxic oxides, nitrides and sulfides after entering the air. The health hazards include dizziness, asthma, drowsiness, nausea and eye and respiratory irritation. Long term exposure has also showed cancer signs and affects liver, kidney and nervous system. The effects are so prominent yet the policies of different states are different but stringent. Los Angeles, due to its bad air quality has a 100 VOC cap defined by EPA whereas other regions of California have 250 VOC cap. On the other hand, rest of the country has 550 VOC cap. 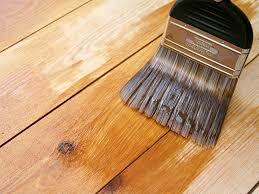 However, the stain colors can’t be the first choice due to their health and environmental concerns. To bring about the change, development of products with low- or zero- VOC content is under study. Though, we do have some of the leading options in market which are based on ‘Water-borne’ coatings instead of ‘oil-based’ or ‘solvent-based’. Such stains are safe to use as deck stain colors. 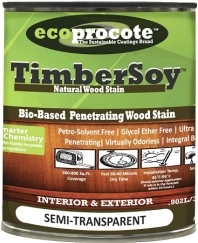 Also, acrylic-based stain colors are here to stay for long time and replace high VOC content products from the market. They have less than 5% VOC or no VOC which is under EPA standard. However, the VOC emissions are strong if the application is done in a closed place without much of ventilation or cross-flow of air. It is advised to check the label of the product where the VOC content must be mentioned. During, scraping and sanding, one must wear appropriate safety equipment and breathing mask. If possible, keep the place well ventilated after the application as well until the smell goes off.